Carfax certified one owner! 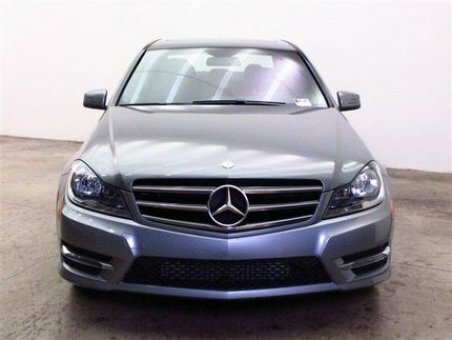 This 2014 Mercedes-Benz C250 Sport Sedan in Palladium Silver over Black interior has a turbocharged inline 4 cylinder 1.8L engine with a 7 speed automatic transmission. It features ABS, Sun/Moonroof, AM/FM Stereo, CD Player, Power Seats, Driver Adjustable Lumbar, Passenger Adjustable Lumbar, Floor Mats, Steering Wheel Audio Controls, Adjustable Steering Wheel, A/C, Rear Defrost, Power Outlet, Traction Control, Stability Control, Tire Pressure Monitor and more! Come to Walter's Automotive at 3213 Adams Street in the Riverside Auto Center today for a closer look and a test!